Other Details: NEW ALEXANDER 1106MAL "HELDENHORN" DOUBLE HORN, YELLOW BRASS, HAND-HAMMERED BELL, NEW MODEL. Now in their 232nd year in Mainz, Germany, Alexander produces some of the world's finest French horns. 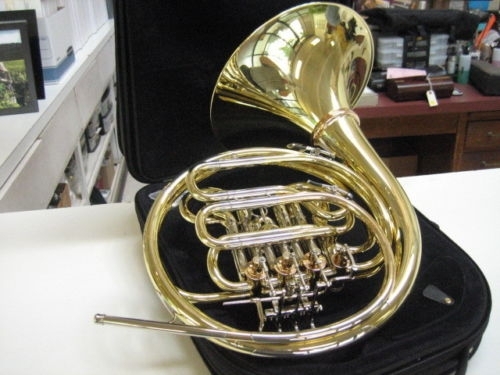 This one is Alexander's latest model, reminiscent of a horn they made in the 1970's and nick-named the "Heldenhorn". Please note, we have 2 of this model scheduled for late September. This is not in stock now in Wichita. 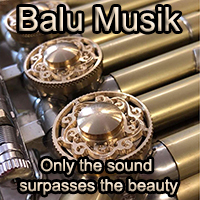 It's a Knopf/Geyer-type design, but with significant differences from the well-known Alexander 1103. 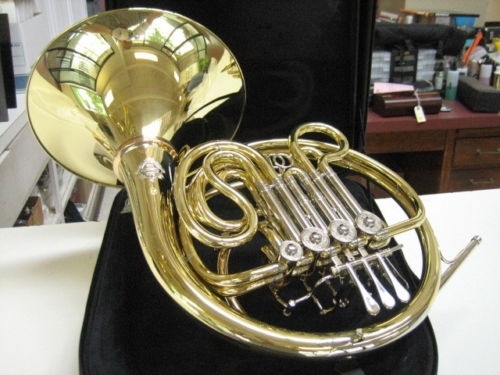 This special model 1106 is a yellow brass horn, with hand-hammered bell spout and detachable bell flare. 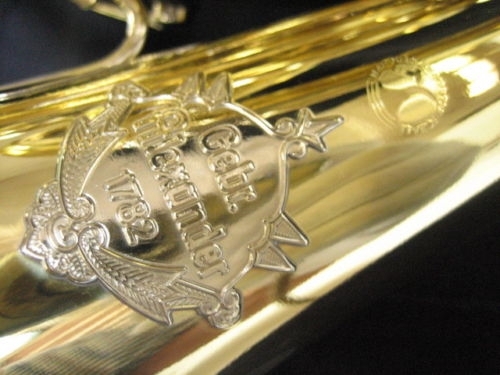 This horn shows typical Alexander superb workmanship and construction. This horn is NEW and PERFECT. NOTE: The price does NOT include case. We have several case options available, ranging in price from $200 to $450 (for the Alex backpack case in the photos). ADSMANAGER_EXTRAS: Alexander care kit, and Wichita Band's 2 year service warranty.